We offer a range of physics training for specialists and non-specialists. Our Physics Teacher Subject Specialism Training course provides an opportunity for non-specialist physics teachers and returning teachers to develop their subject knowledge. TSST courses and SPN events are completely FREE OF CHARGE. Our physics TSST course is offered three times in three different locations throughout the year. Please choose the one that suits you best. Even if the course has already started, we would welcome new joiners and catch up sessions will be provided. This course is specifically designed to develop the subject knowledge of qualified teachers who did not train as Physics teachers. It is also suitable for returning teachers who need to refresh their subject knowledge. The programme runs over 7 sessions which will build your skills and confidence to deliver good and outstanding lessons up to GCSE. We also address how to tackle pupil misconceptions in the classroom and actively encourage learning through practical. This high quality training opportunity is completely FREE OF CHARGE through funding by the DfE and has been quality assured by the Institute of Physics. A non-specialist teacher teaching Physics? A non-specialist teacher who could potentially teach Physics in addition to your main subject? A teacher who wants to retrain as Physics teacher? A teacher wishing to return to the profession to teach Physics? If so, you could get FREE training from AvonTSA. Our teacher subject specialism training (TSST) is designed and delivered by experienced teachers and is community approved by the Institute of Physics. The programme includes face-to-face sessions, gap tasks, practical activities and problem solving. Details can be found on the flyer. We are delighted to have been awarded the status of Link+ School by the Stimulating Physics Network (SPN). The SPN is a national education project funded by the DfE and managed by the Institute of Physics. The aims of the project are twofold: to increase the number of students progressing to A Level Physics and to increase the number of girls progressing to A Level Physics. We are offering three workshops throughout this academic year. These are open to all science teachers and are free of charge. Non- specialists are particularly welcome. I have a more in depth knowledge of physics and how to deliver and provide challenge and support to engage all learners. I have also used this knowledge to provide CPD within my own faculty. I will approach the teaching of physics completely differently by focussing on practical aspects first. This will allow the students to discover more phenomena and scientific relationships for themselves without me ‘directing the traffic’ and directing the learning so prescriptively. The course facilitator imparted his physics anecdotes to allow us to connect them to real world applications. The most useful part of the course was going through the content with regard to pedagogy including practical aspects and also misconceptions. I valued both facilitators’ considerable experience in not only teaching students, but as teachers. I felt that I was never judged on my physics understanding, which I was not confident about at the start of the course. Following a brief stint as a building engineer, Neil was a physics teacher for fifteen years before moving into professional development in the National Network of Science Learning Centres. There he aided with the design and delivery of many STEM based courses including Physics Subject Knowledge Enhancement (SKE), the Science Additional Specialism Programme (SASP) and Triple Science Support and other national programmes. 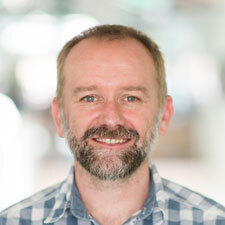 Neil has contributed to national and international projects. After running the Professional Learning department for At-Bristol, Neil became an independent consultant working with schools across the South of England. He has contributed to the development of the TSST programme and delivers several courses across the country.